If you haven’t guessed it right, these taglines are by ASKO, P&G and Earthbound Farm Organic. And by now you must have realised what I’m hinting at. ‘Eco-friendly’, ‘energy conservation’, ‘save earth’, ‘recycle’, ‘environment’ are the buzz words most heard of today. Customers’ today care. They care about their surroundings. About their planet. And that’s the reason why, the products that help “save the earth” are well approved of. Let’s call these products “green” products. And green products are not just responsible. They are better, healthier, more durable, more thoughtful, nicer, offering extensions into social communities, belonging to something. The young consumers today want to be a part of this change in mindset. They want to make a difference. Encouraging and endorsing green products definitely makes them feel a part of this revolution. In today’s world, issues such as global warming interests consumers as well as marketers. Green marketing refers to the process of selling products or services based on their environmental benefits. Such a product or service may be environmentally friendly in itself or produced or packaged in an environmentally friendly way. Potential consumers will view a product or service’s “greenness” as a benefit and base their buying decision accordingly. Consumers might even be willing to pay more for green products than they would for a less-green comparable alternative product. Thus “Green Marketing” refers to a holistic marketing concept wherein the production, marketing consumption and disposal of products and services happen in a manner that is less detrimental to the environment with growing awareness about the implications of global warming, non-biodegradable solid waste, harmful impact of pollutants etc. Both marketers and consumers are becoming increasingly sensitive to the need for switch in to green products and services. While the shift to “green” may appear to be expensive in the short term, it will definitely prove to be indispensable and advantageous in the long run. Companies have realised the power and potential of this colour today. They are beginning to capitalise on this ecological marketing approach by differentiating their products and services using the “go-green concern”. The traditional plastic bag takes about one thousand years to decompose. Notice Mc Donald’s napkins and bags. Also notice the recycling efforts by Apple. 19 million pounds of e-waste is recycled every year. Doesn’t your perception about the iPod/iPhone that you own become even better? Few other examples are Body Shop – known for not testing their products on animals, refilling and recycling activities etc., Honda Motors – who are innovating with alternative fuels like hydrogen/natural gas based autos, General Electric, Epson etc. Epson in particular, has made environmental policies like providing earth-friendly products, recycling used products and changing the process to reduce the burden of the environment. Epson collects and recycles ink in nine countries and changes their packaging for ink cartridge. It thus broadens its environmental concern from products to transportation and packaging methods. The Epson group disseminates their messages through websites, print media and TV advertisements. The messages try to create a positive image of their brand by environmental activities they have undertaken and thus create a positive brand image for their organisation. So, all in all, green marketing benefits the brand and the customer. The interest, while rooted in a desire to do better environmentally, can also be traced to an increasing belief within mainstream business that green practices not only help companies add to their bottom lines in more innovative ways, but they can also promote a better business ethic, both internally and externally. Organizations are increasingly realizing that it is not enough to offer functional benefits alone to their customers. 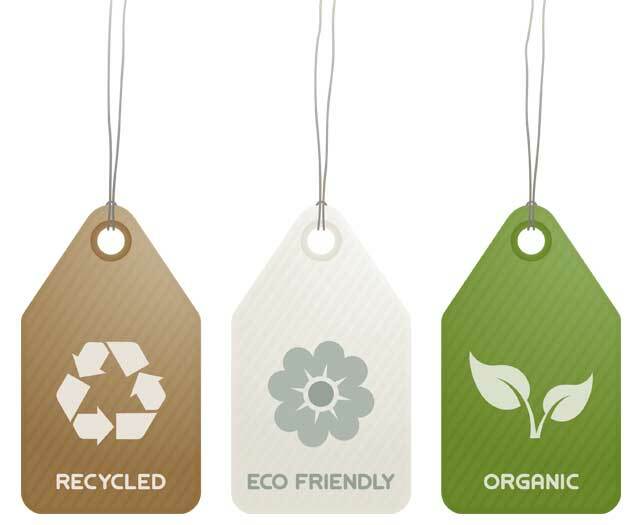 The opportunities and competitive advantages offered by environmentally friendly green products are becoming increasingly important for product sustainability. In other words, green marketing is arriving in a fast pace and is here to stay. Entry filed under: Trends. Tags: apple, body shop, epson, green marketing, new age marketing. But i’d like to know, what is that extra that goes out of my pocket, when it comes to adopting “Green Marketing” ? This would directly imply as to how much this idea would sell and what companies would be open to implementing this. For concepts like “Green Marketing” to be a rage, it is imperative to know its impact, and i believe this is where the stats would come in handy.